Are Couplers Right for You? The Ultimate Race Machine. 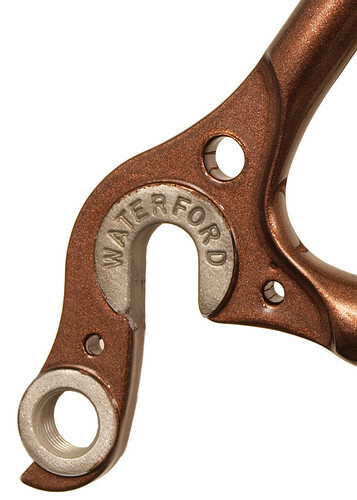 No other tubeset combines stiffness, lightness and the incomparable feel of steel than Waterford’s S3-technology frames. That’s why it’s the choice of competition cyclists in a number of fields, including road racing, time trial/triathlon and cyclocross. 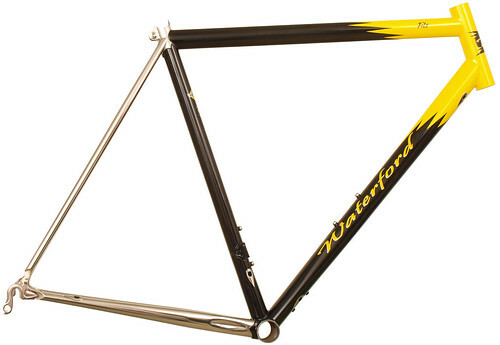 Waterford has enhanced True Temper’s S3 designs to fit a wide range of needs for a wide range of frame sizes. 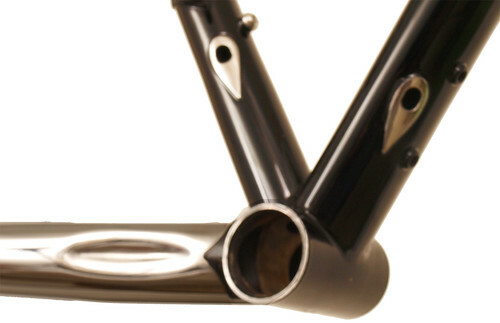 Each frame includes custom geometry with tubing individually selected to give you the desired feel and handling. 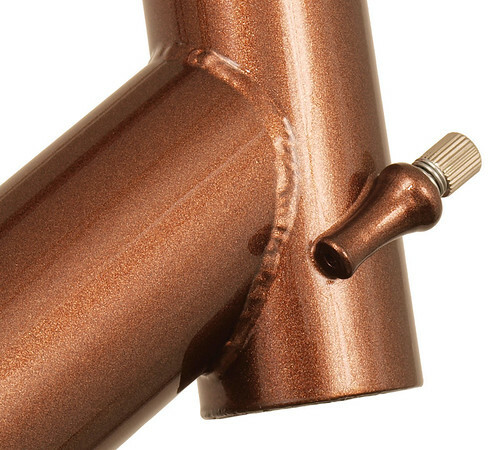 Beautifully TIG-welded construction offers complete design and fit flexibility. 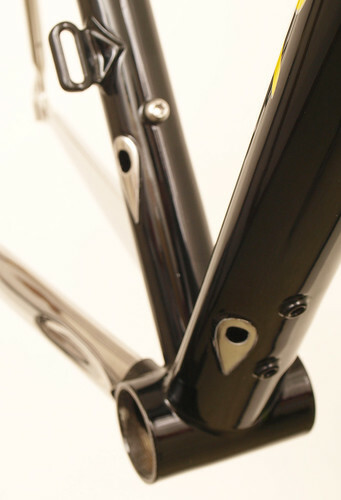 Optional lug seat cluster provides integrated seatpost clamping for a clean look. 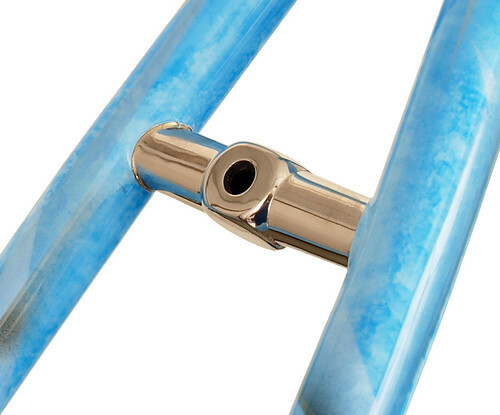 Stainless steel dropouts are specially drilled to reduce excess weight. 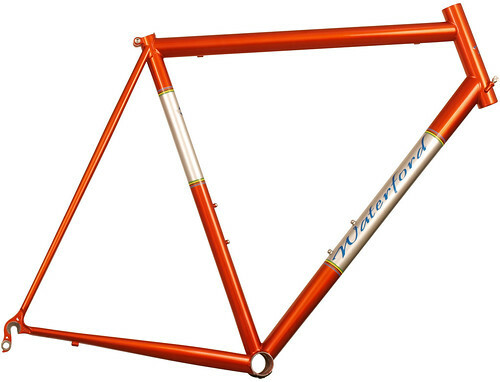 Waterford 33-Series Race Ready in Orange Glow over Sterling SIlver with Silver Panels. Front view of Waterford 33-Series Race Ready in Orange Glow over Sterling SIlver with Silver Panels and Waterford's world Championship color bands. 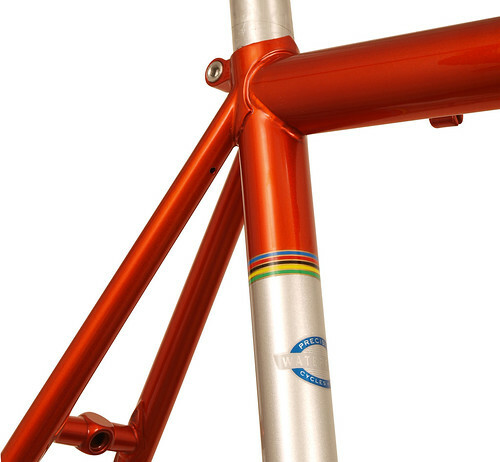 Head tube detail of Waterford 33-Series Race Ready in Orange Glow over Sterling SIlver with Silver Panels and Waterford's world Championship color bands. Waterford 33-Series Race Ready in Orange Glow over Sterling SIlver with Silver Panels and Waterford's world Championship color bands. 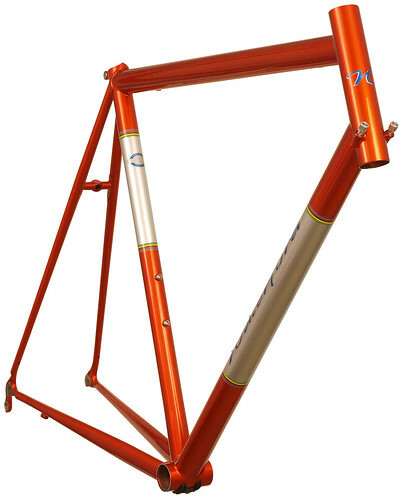 Waterford 33-Series Race Ready in Orange Glow over Sterling SIlver with Silver Panels - Downtube view. 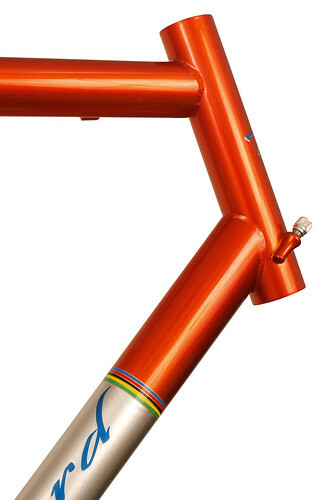 Downtube detail on Waterford 33-Series Race Ready in Orange Glow over Sterling SIlver with Silver Panels and Waterford's world Championship color bands. 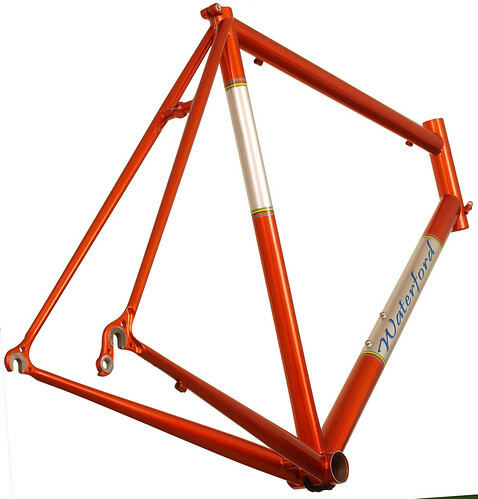 Rear view of Waterford 33-Series Race Ready in Orange Glow over Sterling SIlver with Silver Panels and Waterford's world Championship color bands. 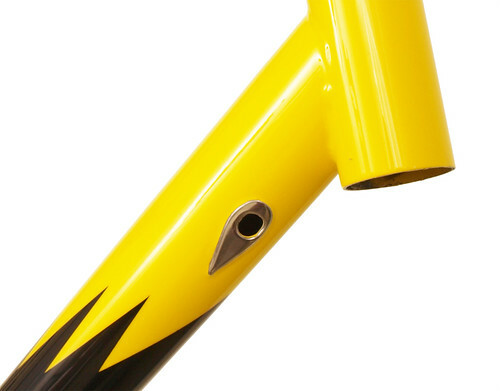 33 Series Race Bike downtube detail. 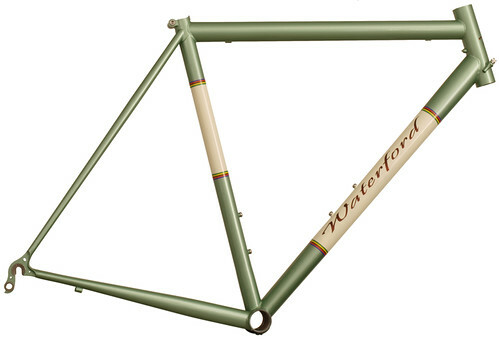 33-Series with DI2 wire routing and battery mount. 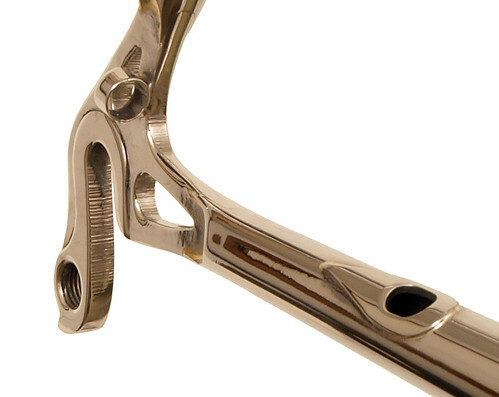 33-Series rear vertical dropout is drilled out for weight savings and is made of stainless steel. 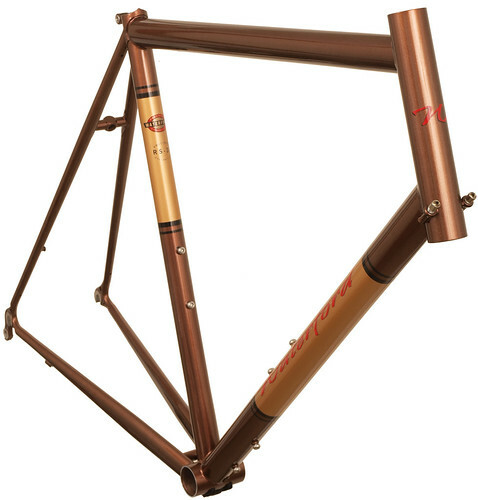 This is a 33-Series frame using our Road Sport handling and head tube cable guides. The rider hydrates heavily during rides; hence the unusual combination of a 3rd set of water bottle bosses with no eyelets or rack mounts. Styled Copper Met with Goldfinge Panels. Stainless Brake Bridge on 33-Series Race Ready design w/custom paint. 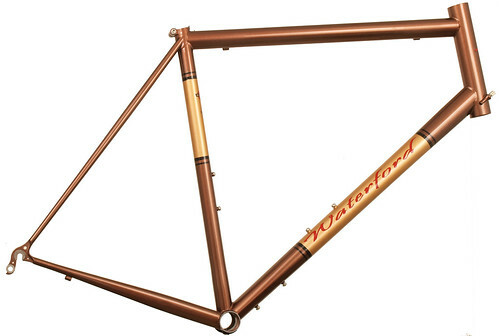 33-Series Race Ready design w/one-off paint and stainless chainstays.